Written by Emma Walker for RootsRated in partnership with Marmot. The key to making world champion skiers? Start them young. 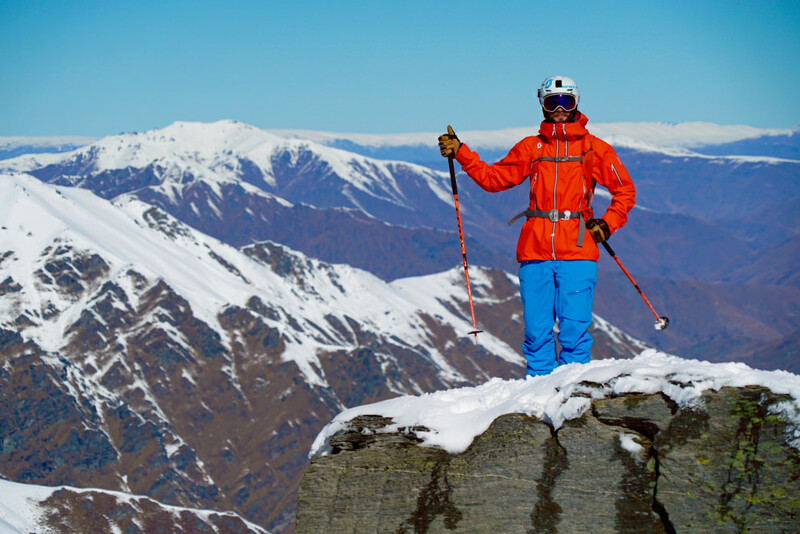 Just ask New Zealand-born big mountain freeskier Sam Lee—whose parents first put him on skis when he was a toddler—if you can track him down, that is. Early in 2018, Lee left his hometown of Wanaka and has since made Freeride World Tour stops at Revelstoke and Kicking Horse in British Columbia, Hakuba in Japan, and, in February, headed across the pond to an event in Verbier, Switzerland. When we caught up with him, Lee was getting ready to head to Slovakia. "I’ve spent a lot of time on planes, in trains, and carpooling," Lee laughs. That’s okay, though, because he needs plenty of downtime in order to keep planning his next stops—figuring out accommodations, sorting out passes, compiling GoPro video footage, and putting together content for his sponsors. All that planning takes a lot of time, but Lee still manages to squeeze in plenty of actual skiing, too. He finished the 2017 Freeride World Tour with seven top-five finishes, putting him in sixth place overall. 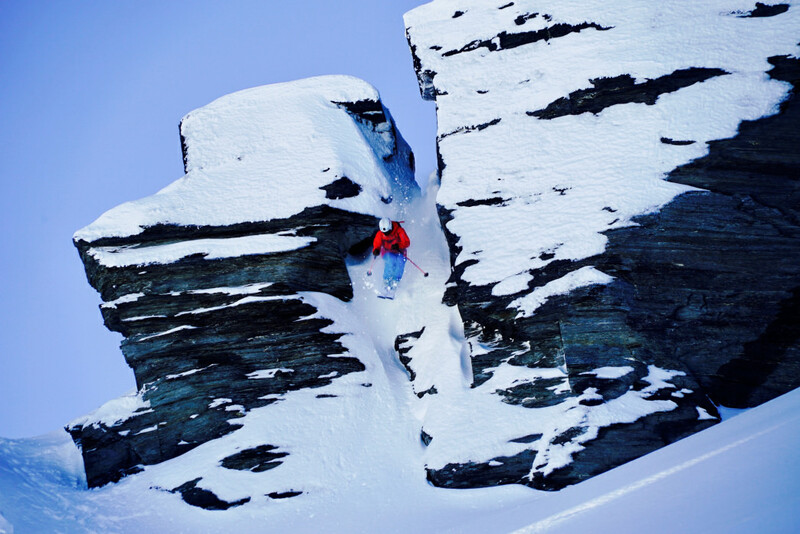 To imagine the Freeride World Tour, picture the events you’ve seen at the Winter Games. Keep the skis or snowboards, and throw just about everything else out the window. The events are still made up of some of fittest, gnarliest athletes on the planet, but unlike the controlled circumstances you find in Super Giant Slalom, freeskiing events take place in the backcountry. 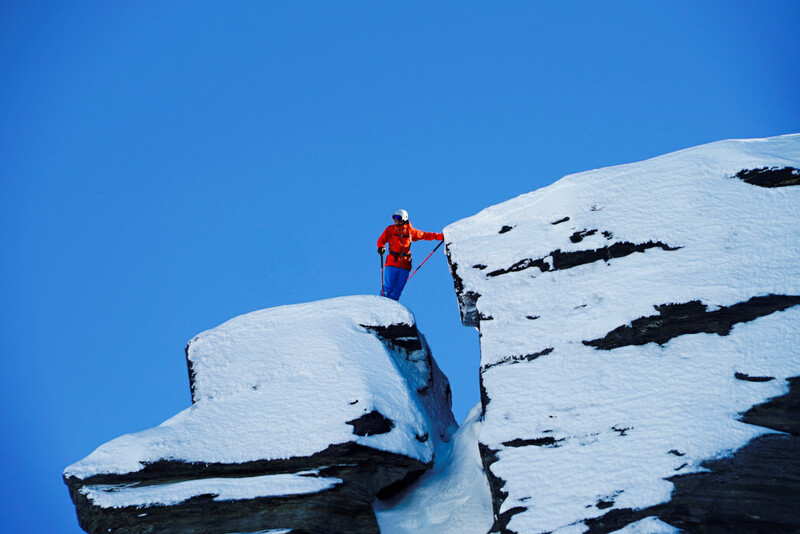 Skiers like Lee take on the kinds of fluted spines you see in Warren Miller movies. Each time he skis a big line, a panel of six judges scores his run. The Freeride World Tour judges’ manual puts it simply: "A judge has to ask himself at all times how fast, how big and how much in control a rider is compared to how steep, how exposed and in what snow conditions the action is happening." The judges scoring Lee’s runs base their scores on how difficult his chosen line is, how fluid and in control he looks, how big his jumps are (and how well he lands them), and his overall technique. One of Lee’s proudest accomplishments is his third-place finish on his last stop of the 2017 tour, in Haines, Alaska. His earliest skiing memories are probably familiar to most folks who were put on skis as kids: falling over on steep slopes, realizing your skis have fallen off, continuing to slide downhill. Soon enough, though, Lee was making turns without losing track of his skis. His parents put him in ski school with the intention of growing his skills, and by the time he was eight, they’d gotten him on the ski racing track. "It wasn’t a serious thing," he recalls of his early racing days, “It was just, like, ‘That’s the next step!’” His parents wanted to shred a little harder than one can do with an eight-year-old tagging along, Lee explains, so it made sense to have him occupied with racing. Follow Sam Lee’s adventures on his website or on Instagram. I found the Marmot Knife Edge jacket to be versatile and comfortable. My favourite feature must be how light the jacket is while still being protective and waterproof. It easily folds up very small to fit in my pack and I barely noticed it was in there while out exploring in the hills and bush. Great jacket, Marmot. When you go equipped with the right gear and expertise, you don’t have to be. In fact, when you come prepared, winter can turn the wilderness into a veritable wonderland that offers an increasingly rare immersion into calm, quiet, and solitude.